Our company makes clean piping installations for the pharmaceutical industry (purified water systems, distilled water systems, pure steam generators and reverse osmosis systems, compressed air, nitrogen etc). PHARMACEUTICAL INDUSTRY. 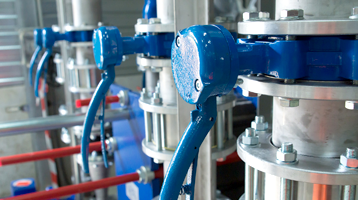 We are specialized in clean stainless steel piping installations and sterile treatment systems. We use mainly ASME BPE materials. We use automatic TIG welding processes. Our company is certified for both orbital and manual stainless welding. Our welding team is ASME IX (Bureau Veritas) and EN certified. 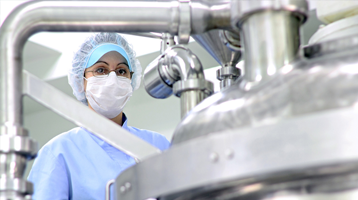 We are also specialized in sterile treatment TURN-KEY systems, CIP/SIP. All our steel installations are accompanied by the necessary documentation: FAT/SAT and IQ/OQ. Automated stainless steel systems for milk loading, unloading and cleaning, both with a simple or double safety breaker. We can ensure all the necessary steps for each job and for each of our stainless steel installation, starting from consulting and design to post-warranty service. We use the TIG welding process when we build the food industry installations. We are welding with both argon protective atmosphere and filler material. Another safe, cheap and quick solution to produce a stainless steel compressed air or nitrogen plant or a utility plant is using the Sanha joint by pressing. The piping and fitting systems are universal and all of them have varied combining possibilities. Thus, effective solutions can be made, with common diameters ranging from 12 mm to 108 mm.